As most of you foodies know, these special limited edition Oreos are going to be made available TOMORROW (Monday, September 10th) only at Target stores. Well, somehow my local Target put them out early…and I got them on the 7th! I didn’t even know about the exclusive release date until my sister and Katya (over on my Facebook page) mentioned it! So here they are! 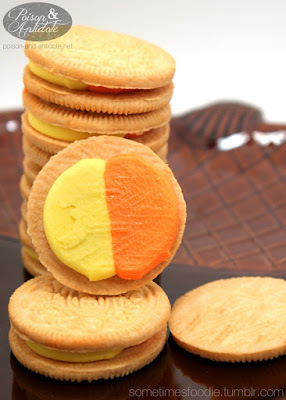 Candy Corn Oreos! The packaging is very bright! 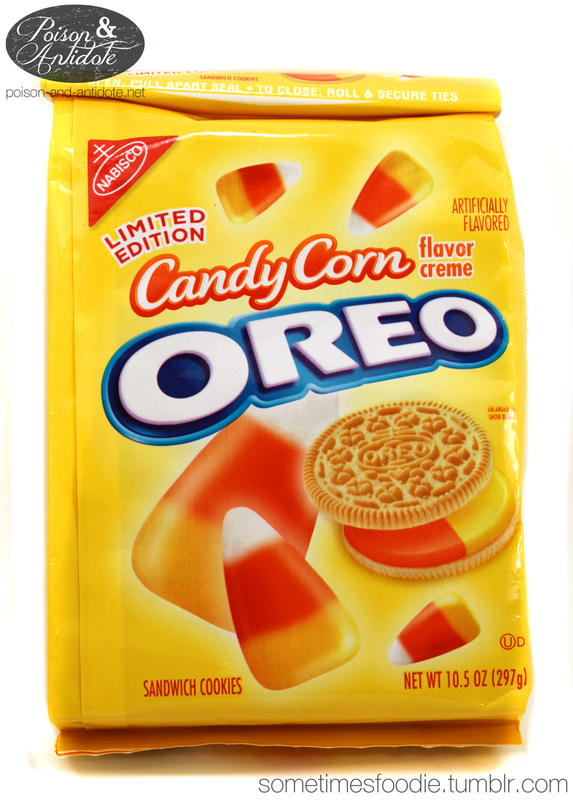 Usually fall themed foods have subdued colors, like browns, but Oreo went with a bright yellow to match the colorful candy corn. Like all the new Oreo packages, it is easy to open and resealable with a twist-tie style closure at the top. Inside, the cookies were actually a mess. I cleaned the packaging up a bit because orange icing was everywhere! 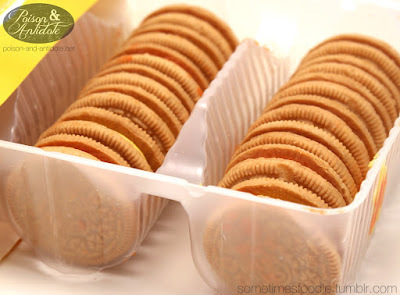 You can still see some orange icing on the cookies a bit. 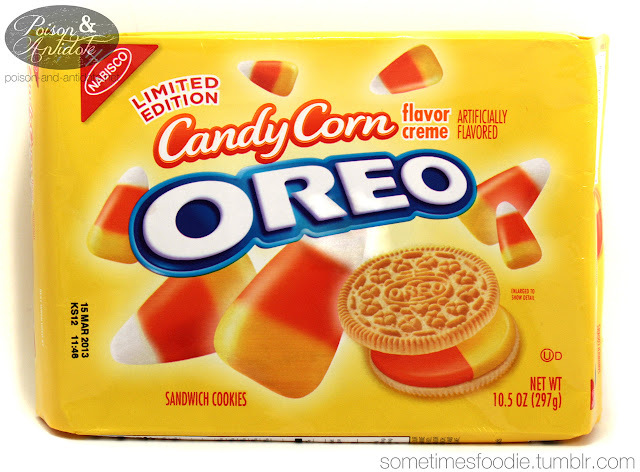 The cookies don’t really smell like candy corn. 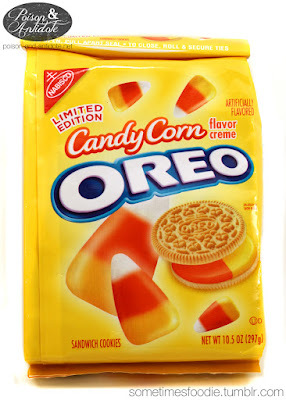 The aroma is really buttery and pleasant, but it really doesn’t make me think of candy corn. The filling is two-toned, but each color tastes the same. The overall flavor is a lot like a cake-batter ice cream. There is a warm, buttery, vanilla flavor that I really enjoy. I actually like these a lot more than the real thing!